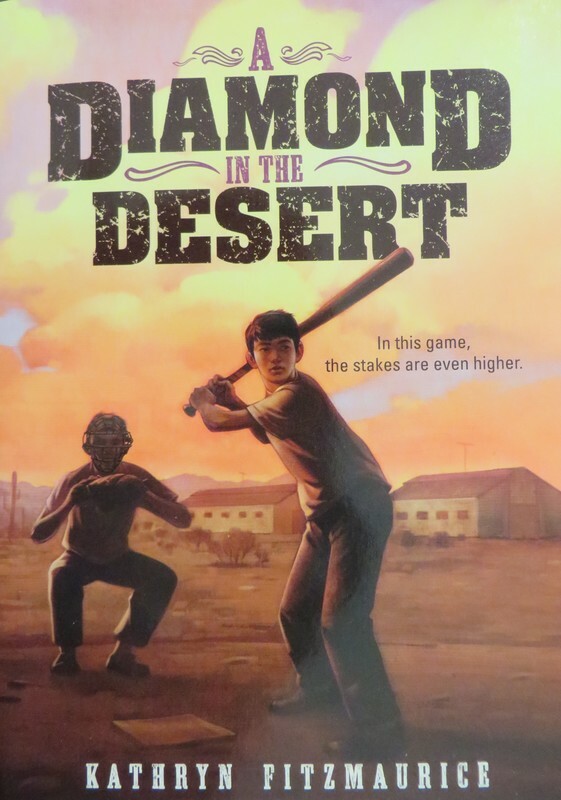 Tetsu and his family are forced to give up their home and most of their possessions to move to Gila River, an internment camp in Arizona for Japanese Americans. Although Tetsu’s father is a loyal American, the American government thinks he might be a spy after the Japanese bombed Pearl Harbor and the U.S. entered World War II. While their father is held for questioning, Tetsu tries hard to be confident for his mother and little sister, and tries not to complain, even though nothing about his life is fair or easy. He desperately misses his dog, and his baseball team. When several other boys pull a baseball team together in the camp, there are moments when Tetsu feels like he’s home again. He was a talented first baseman on his team at home in California, but as the months pass at the camp, the things that are most important become even more precious. There is some lovely lyrical writing in this book, without ever being heavy-handed about the subject. There is not much middle grade fiction about the internment of Japanese people during World War II in the United States, and this is an accessible look at that injustice. According to the author's notes, her research was drawn from specific news articles in Gila River at that time period, and several incidents in the book are based on true events. The characterization is compelling, with some competition on the baseball team, and more within the camp hierarchy of boys Tetsu's age. There is a boy who acts as an active supporter and friend, a boy who refuses to talk, and another who is a natural leader and a bit of a bully until Tetsu helps him out of a tight spot and they become friends. Tetsu's family relationships - caring for his younger sister, trying to support his mother, and trying to grow up to be like his father in his father's absence - all add to the richness of the story. There are a couple of mature references in this book that might make it an awkward read-aloud for upper elementary, but the subject matter and story are valuable and worth recommending. ""We sat down in the dust, kicked at rocks wedged under the dirt, mourned the loss of the Yankees, and night games, and everything else we used to have. That night, playing catch didn't seem to help like usual." Japanese Internment Camps in the U.S.